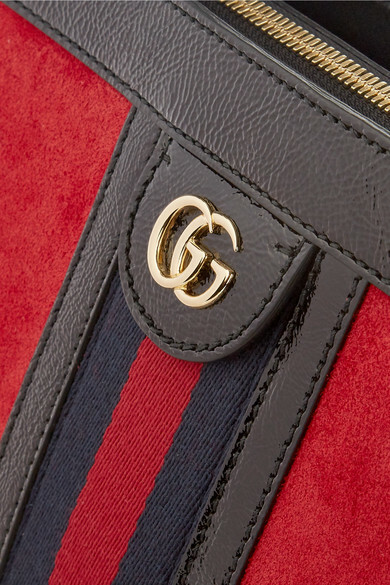 Gucci's tote is part of the label's brand new and already coveted 'Ophidia' collection. 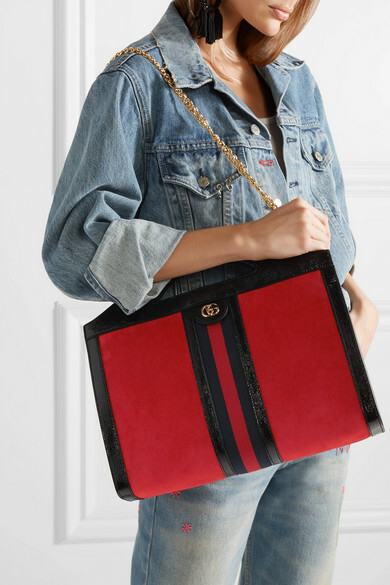 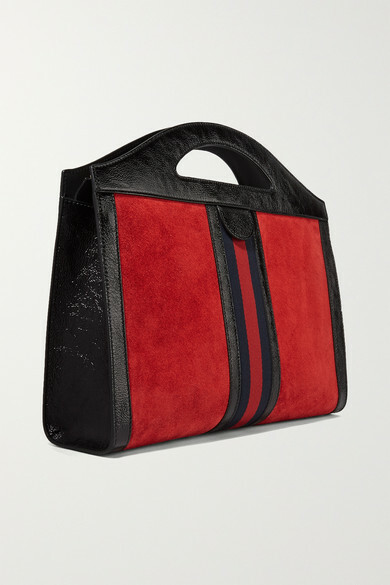 Detailed with the house's signature striped webbing and iconic 'GG' plaque, this suede style has glossy patent-leather trims and opens to a surprisingly spacious interior. 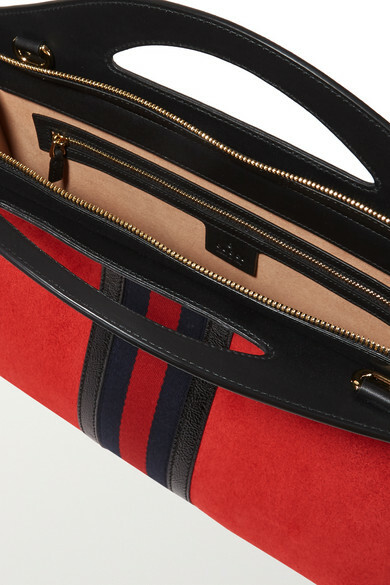 Carry yours by the top handle or attach the shoulder strap to go hands-free. 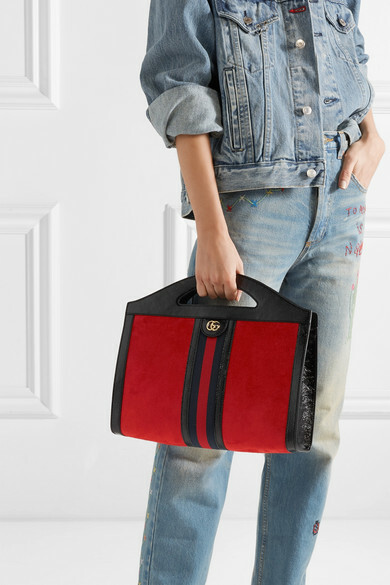 Shown here with: Sandy Liang Jacket, ATM Anthony Thomas Melillo Tank, Gucci Jeans, Oscar de la Renta Earrings.